Multilevel Affiliates add-on will help you on affiliate recruitment, management and tracking while you are using WordPress Download Manager Pro along with Premium Package Add-on. This add-on has a special feature to implement Multi-Level Referral Commission sharing option, which will boost up your sales. The Multi-Level Referring Promotion feature uses a marketing model similar to MLM. 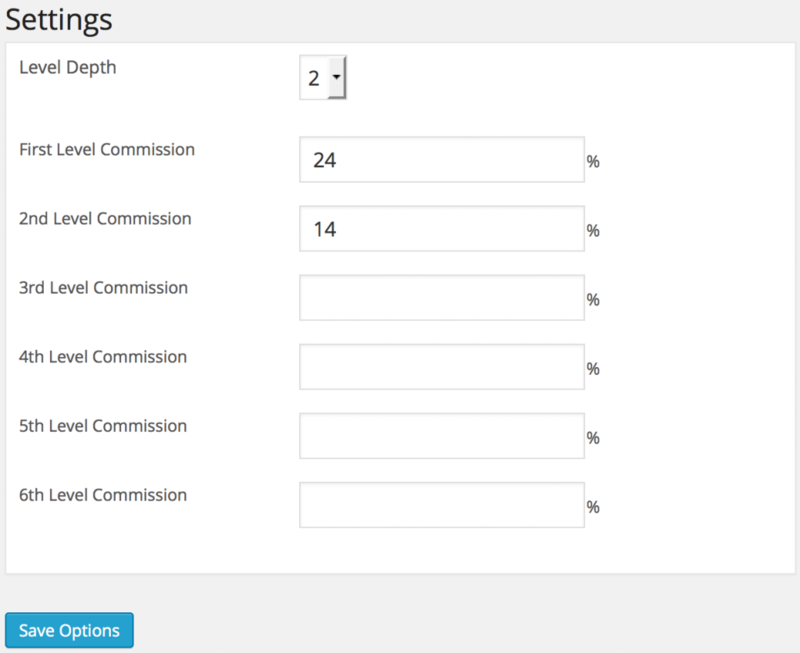 Where you can set multiple layers of commission for the top-level referrer. A top-level referrer will able to earn commission from multiple sales even simply referring to one person which will certainly encourage him to refer your product at least to a potential client. And here the magic is, each user is a top-level user in his referring tree. So what I say, this plugin can increase your sale 10 times more than any other plugin as well as manage your membership is a better way than others. Is this supposed to be included in the All Add Ons package? I don’t see this one and the other recent add-ons listed in my account. How does the affiliate get paid? mass pay in paypal? Paypal doesnt like MLM programs only 2 tier. Does this work with all the payment plugins? The demo site admin password is wrong according to the demo of the site that has the plugins we can look at from admin area. So I am asking my questions here. All affiliate credit will be users account, and user can send withdraw request, admin can complete the request using paypal from admin panel. So the tier system here is not making any conflict with paypal policy. Anyhow we will add payment support for other payment gateways too. that works on wordpress version? and can function as a single plugin ?? Do I need to buy anything else in order to use this add on (Multi Level Affiliate)? With the multi level affiliate plugin does it allow the affiliate to earn the next level of affiliate. i.e. if all start as a level 1 affiliate (earns 10%) and then refers two sales then change them to a level 2 affiliate (earns 20% for level 1 and 10% for level 2)? Also, is there a way to have affiliates register for no cost without purchasing one of our products? The commission in different level will depend on your setup, it can be setup up to 6th level. Every registered user can join affiliate product and he will start from 1st level. I noticed that in the WP Pro Membership features list contains ‘Multilevel Referring Promotion.’ What are the differences between that and this ‘Multi-Level Affiliates’add-on? Are the commissions residual? Or is it a one time payment for subscriptions? one time payment for subscriptions. This plugin only tracking the purchases? or “the clics and registers” too? Yes, also tracks clicks and signup too. We shall add a new tab to show clicks with the next update of the plugin. How long is the cookie of the reference link? Hello. Do you have instruction how to correct use this plugin, especially TRACKBACK URLS and what i can do with variables? What is SITE-WIDE Affiliate link? Plz, help us to understand usability of this great tool.